Cerebral aneurysm. 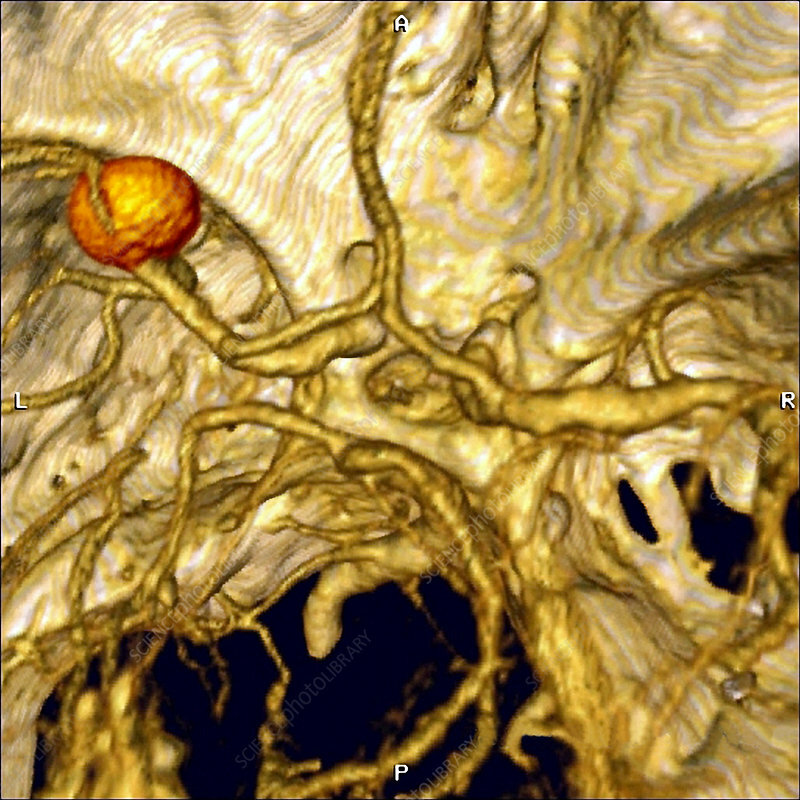 Three-dimensional coloured computed tomography (CT) scan of an aneurysm (ball, upper left) in a blood vessel of the brain. An aneurysm is a blood-filled dilation in a blood vessel. It is caused by a weakening of the vessel wall, which may be caused by hardening of the vessel (atherosclerosis), high blood pressure or injury. The swelling puts pressure on the brain and, depending upon where the aneurysm is, may cause symptoms such as loss of control of facial muscles or unconsciousness. If left untreated aneurysms rupture, causing stroke, and are often fatal. Treatment is with repair or replacement of the blood vessel.